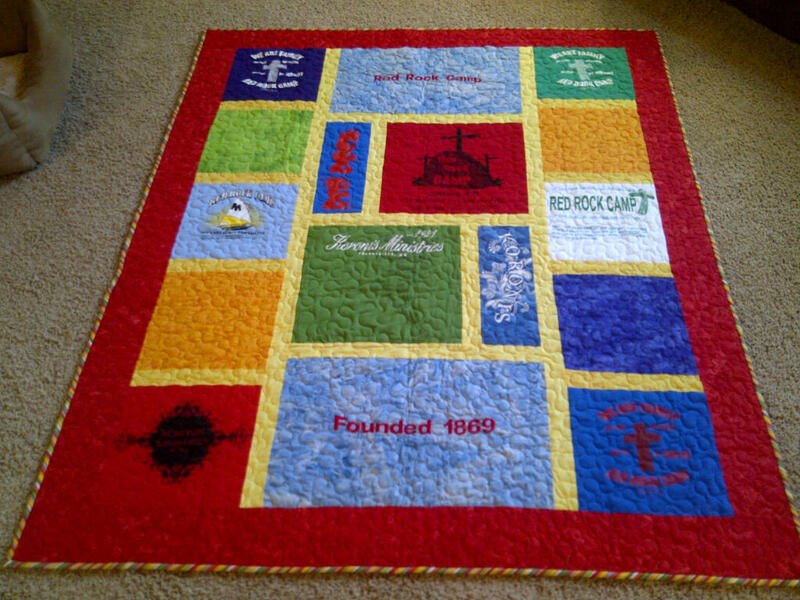 For the first time we will be having a silent auction at camp for some beautiful quilts. 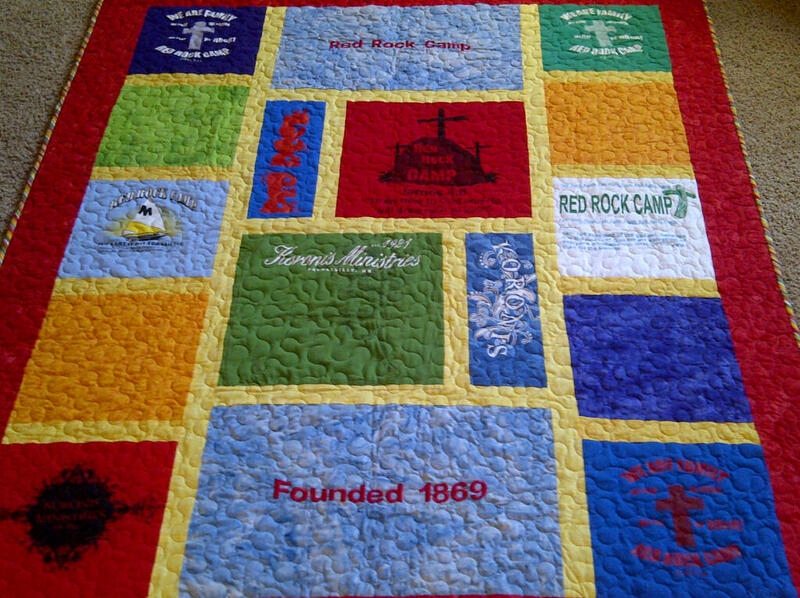 There has been a group of people working on quilts made from past Red Rock T-shirts! Here is a look at one that will be featured.